How does school work out my child’s attendance? Schools count each day as two sessions – morning and afternoon. Your child has to attend 10 full sessions (five days, morning and afternoon) each week to achieve 100% attendance for that week. If your child has a half-day absence, they would have a 90% attendance for that week. If they have a whole day off school, their attendance would be 80% and so on. If your child is absent for the whole week, they would be given 0% attendance. My child’s average is 90% - should I be concerned? Surely that means that they are there most of the time? Yes, you should. This means that your child is having on average a day off every other week. This may be because they had the odd day here and there and then a few days off for an illness. Over the year, it adds up. But what if my child is unwell? Surely if they’re poorly, they can’t help being off? With the exception of vomiting, diarrhoea or certain infectious conditions, such as impetigo, we would encourage you to bring your children to school to see how they get on. More often than not, we find that the children who are feeling under the weather in the morning, pick up and feel much better as the day progresses. As parents/carers, we have a massive influence on whether our children attend school when they are feeling unwell. Encouraging them to attend school, even if they perhaps don’t initially feel up to it, develops good habits for life. We are also want the best for all the children in our care and regularly check on their wellbeing. If we feel that they are not well enough to be here during the school day, we will call you and ask that you take them home. It is not in anybody’s interest to have them in school if they are so unwell that they cannot enjoy the day. Why can't my child take a little bit of time off for a family holiday? We understand that taking a family holiday during term time is considerably cheaper than during the school holidays. However, if your child has a week off school they could lose up to 20 lessons of English and mathematics. If you make the decision to take your child out of school for a holiday during term time, we may take legal action. The implications of this vary, however, may involve a Fixed Penalty Notice. So how many children actually achieve 95 – 100% attendance over the school year? Is it a realistic goal? If your child has 95% attendance at the end of the year, they will have missed 9 days or 45 hours of schooling. 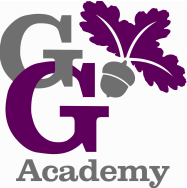 A number of children in any class in any term at George Grenville Academy will get recognition for 100% attendance and nearly all children in that class will have been to school for over 95% of their time. Only a few children attend school for less than 95% of the time. What happens if my child has an attendance percentage of under 95%? Ensuring your child has a successful school career is in everyone’s interest. A crucial part of this is the relationship that we have together as a school community. Therefore, if your child’s attendance is of concern, we will call you to discuss ways that we can support your child in school and if there are any issues that we can help to resolve – both in and out of school. If your child’s attendance is much lower than the average, we will invite you in to discuss this and may require you to sign an attendance contract. This is a plan, formulated together after a discussion with you and your child, designed to overcome barriers to getting your child to school. I don’t understand what the percentages on the attendance letters mean in real terms. We recognise that in our busy lives, it is easy to lose track of how many days your child has had off, especially over a whole school year. Therefore, we have produced the guide to help you understand the percentages mean and the reality of the school hours lost. If you spot an error or do not agree with the percentage we have stated in your child’s attendance letters, please come and discuss it with us and we will look into it further. But is it really that important that my child attends every day? They are still in primary school! Studies have shown again and again that children who have less than expected attendance in primary school will continue with these habits throughout their school career. It also has an impact on their achievement and attainment levels and affects their social skills and friendship groups. What can I do to minimise my child’s time off school?One of the best ways to help your child is to make all appointments (doctor, dentist, optician) out of school hours, either after school or during the holidays. Sometimes, it is necessary to seek medical services during the school day, however, we welcome the children in school before and after their appointments. Another is to make sure your child is not late for school. It is sometimes the case that tummy aches and headaches come if a child is inwardly worrying about being late and has little control in what time they arrive. Furthermore, arriving at school after the day has started means children miss out on early morning class chats, finding out about the day ahead and settling in before the day starts. They can also miss out on early morning interventions, such as reading or times tables.